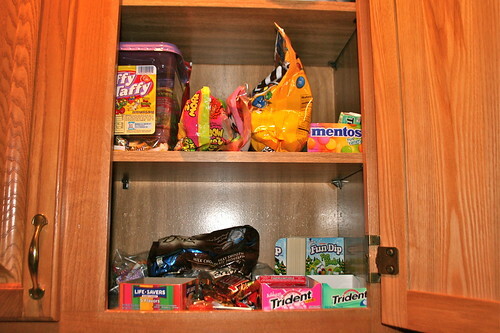 Can you guess why this is the cabinet we like to frequent? The kids don't know we have that much candy there. They will now. I'll have to hide some of it somewhere. Now I might have got you started on Mentos but it would have been the mint ones. Mickey was responsible for the Laffy Taffy. I don't eat it.